Ladies, if you’ve been suffering through the last three weeks of Napoleon, army organization, and battles, then hopefully this post will make amends. Gentlemen, don’t run the other direction just yet, we’re actually going to talk about the military in Jane Austen’s novels. One of the great things about Austen’s writing is that it’s set in the era she lived in and she was familiar with the customs and culture of her day. This adds great historical value to the novels. Listing from the four books mentioned above, here are the main references or characters connected to the military. Pride & Prejudice: George Wickham – a scoundrel who’s hiding out in the militia, and then a friend buys him a commission in the regular army after he does something really bad. Militia Regiment – a regiment is quartered in the local town and the officers frequently attending gatherings at the local residents’ homes and flirt with the girls. Camp at Brighton – there’s a large training camp near the seaside town of Brighton – not much else is specified other than it was “a whole camp full of soldiers.” Colonel Fitzwilliam – the man with no official first name, poor fellow. But Colonel what’s-his-name Fitzwilliam officially rescues the reputation of the military in this novel. He’s the fourth son of an earl, has a very gentleman-like manner, and is a responsible guardian of Miss Darcy. Sense & Sensibility: Colonel Brandon – a silent bachelor, age thirty-five, and fond of flannel waistcoats. He served in the British army and was sent to the East Indies. Not much else is known about his service, but he knew how to shoot a pistol since he fights a duel in the story. Emma: Set in a quiet country village presided over by sweet, well-intentioned matchmaking “princess”, this book doesn’t have much connection to Britain’s military. Captain Weston is the sole representative. He was from the little village of Highbury and enlisted in the militia, but not much regarding his service is known. 1. It was a “good” career Only the eldest son inherited the family property, so what’s a younger son to do? Colonel Fitzwilliam (fourth son of an earl) and Colonel Brandon (second son) were both packed off into the army, presumably with purchased commissions. Arthur Wellesley, the Duke of Wellington, who won the Battle of Waterloo, was also a younger son and started his military career with purchased commissions. 3. The English country world did not revolve around Napoleon and his battles Think of the book Emma, which was published around 1815. The characters do not seem to express interest in the world outside their safe and secure little area. Perhaps the gentlemen discuss the news in the papers when the ladies aren’t present, but on the whole there’s a sense that the big battles and wars with Napoleon don’t matter to these people. This is likely a good reflection on the feelings of this class of people. 4. Sometimes it paid…and sometimes it didn’t It is interesting to note than none of Austen’s characters seem to make much money in the army. Colonel Brandon and Mr. Weston come back to property, either inheriting the estate or purchasing a comfortable house. Colonel Fitzwilliam cannot support a family with his income and must abandon his interest in Miss Elizabeth since she also is without fortune. So I guess the lesson is: the army didn’t pay really well and this is supported with real historical evidence. 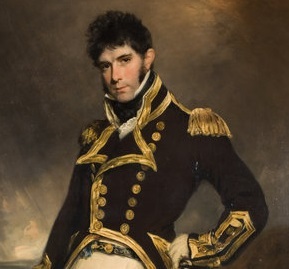 Now, the navy on the other hand…Admiral Croft had enough savings to rent a baronet’s home, Captain Wentworth and Captain Benwick made large fortunes…but it’s implied (and historically accurate) that they are lucky characters. Captain Harville has been cast ashore with half-pay, not a pleasant experience for a man with a family to support. 5. 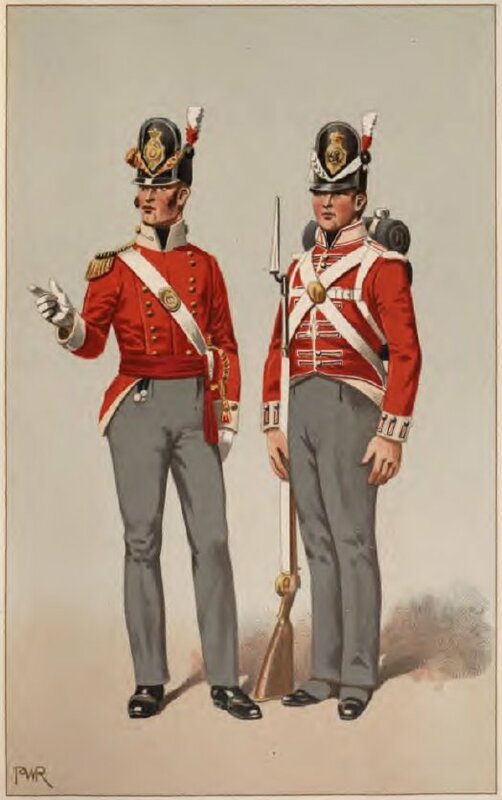 It is a truth universally acknowledged that the uniforms looked very handsome. In Pride and Prejudice Mrs. Bennet admits that even she “liked a redcoat” and she’s referring to a handsome uniform. Like these to the right. Even Captain Wentworth was acknowledged by the overly-particular baronet when he appeared at the concert in Bath. I think it’s highly probably in the cultural setting that he was in dress uniform that evening. But, a word of caution from Miss Austen, be sure of a man’s character before admiring him or his uniform – you do not want Miss Lydia’s fate. Jane Austen had a good sense of the feelings of the “common” people in her world. Her characters and the military themes woven into her novels are accurate when compared to historical accounts and real people of the time. And you have a “historical excuse” to read her books again. Right? It is a truth universally acknowledged that Jane Austen’s books cannot be read too many times. P.S. 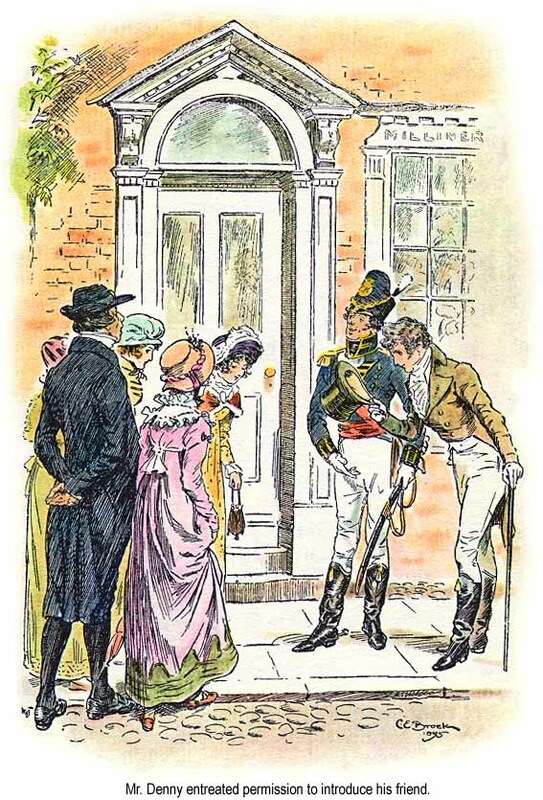 Who is your favorite “military character” in Jane Austen’s novels? And why? Next Announcing A New Book! Hey Sarah, came over from The Jane Austen group on Goodreads. I think this is the first time I am reading a piece specifically aimed at dissecting militia in JA. Nice! I do not have a favourite but I like Captain Benwick because of his quiet disposition and his love for books. I also like Admiral Croft because he seem jovial and a darling to his wife. Hmm and Colonel Brandon, I have a new found appreciation for because of his gentleman nature. I am sure he did, JA did not want to saddle us with all those details ;).